BUT I wanted REAL churros, with a full soft inside to balance the outer crunch. SO I made another batch. Just as easy and simple as I’d hoped and seriously so delicious! My mom and kids were enjoying them so much I barely had any left for pictures! And trust me they didn’t last long after pictures either! As you can see you can have a lot of fun with shapes, and different tips. I think next time I’ll make them in a shallower fryer and see if I can have better luck piping right into the oil for some fun as well. 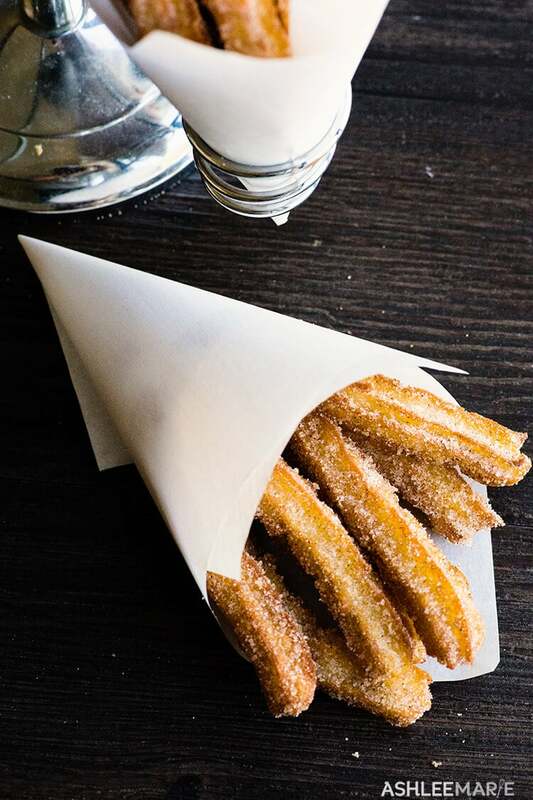 And of course start experimenting with filled churros and churro dips now too! I’m just a little Churro obsessed! pipe shapes onto parchment paper squares if you want, then place in the oil, after about 30 seconds pull the paper out. 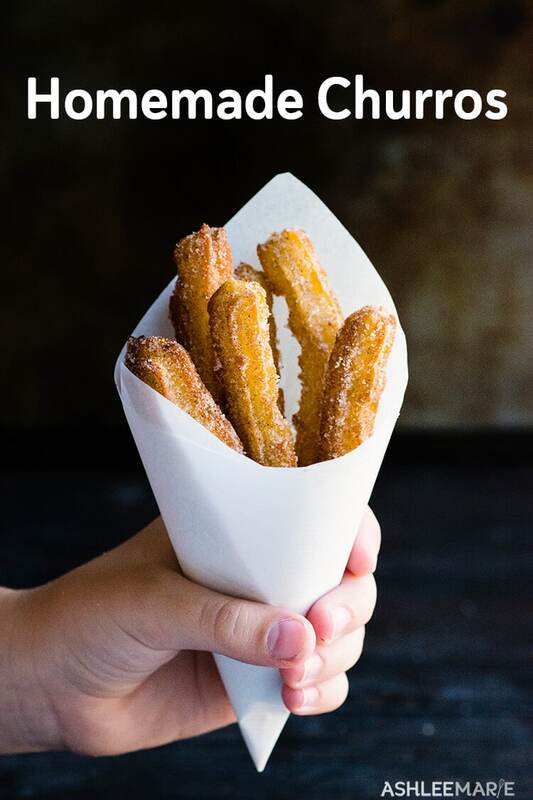 SO are you a Churro fan? 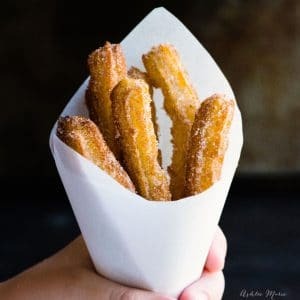 Do you have a churro recipe you love to make (I’d love to try more and see how they differ from each other!). Of course I’m obviously a fried food fanatic, but I have seen BAKED churros, churro bowls and even churro ice cream cones! WHAAAAAA what’s the best churro you’ve seen? 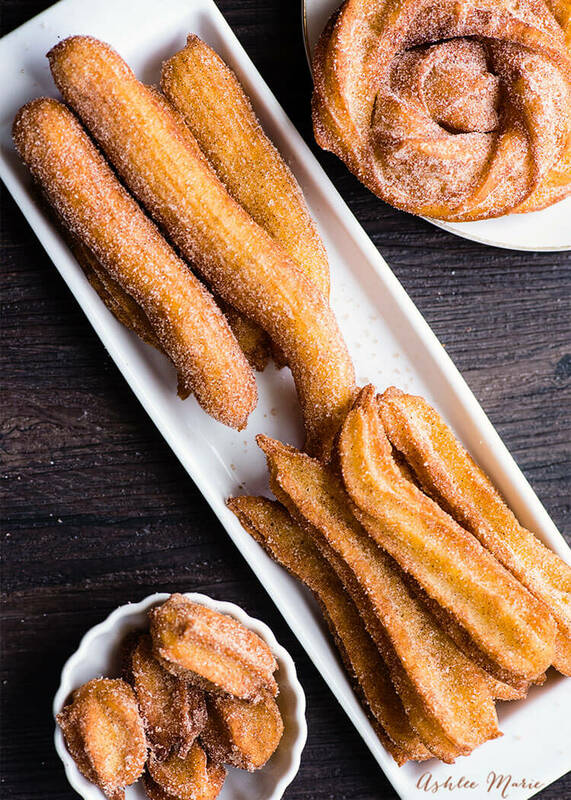 This churro recipe looks like a winner! I just made some today for the firsts time. Although the family thought they were yummy, I felt the texture and flavor of the dough left something to be desired. Can’t wait to try this – thank you!